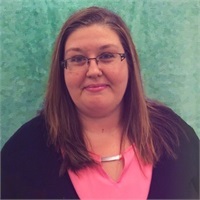 Jacqueline F. Buckley is the Administrative Assistant for Michael H. Sears, at Sears Group, Inc. Jackie has been working in our office for 2 ½ years and is a valuable asset to our team. Jackie’s background is customer service, where she flourishes, and she has lived in Florida her entire life. She loves building relationships with our clients and helping with any service-related needs they may have. Jackie enjoys Zumba & Fitness, crafting, and spending time with her family and friends. Jackie is a mother to two boys: Zachary Tyler and Cameron Scott, they reside in Venice, FL.